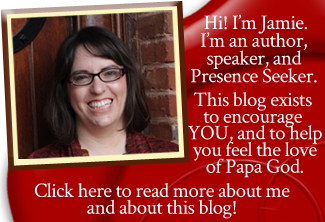 I am so honored to have a guest post up over on Judy Douglass’ blog, Kindling, today. It’s about one of the deepest cries of my heart; one of the things that will shape my life forever. It’s something that God called me to just this year–back in February–and it has shaped my passions, time, and ministry opportunities ever since. And preaching this short, but powerful sermon. The day I heard these two messages, I sat in my cubicle at work and cried like a baby. For hours. Curious? Head on over to Kindling and check out Your Prayers Bring God’s Harvest! And if the article stirs your heart, please be sure to leave a comment there!